Located in the beautiful heart of Europe, historic downtown Prague, abiding by Canadian standards - Laderma plastic and aesthetic surgery clinic. 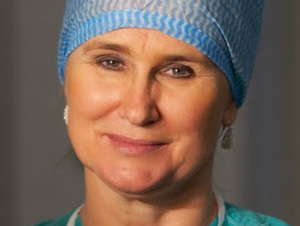 Dr. Zuzana Cerna is the chief surgeon of the Laderma Clinic. Her qualification and experience are of the highest standard. She is registered to the Principal list of the GMC (General Medical Council) of Great Britain. Based on her certification, she is authorized to perform her practice in the Czech Republic and Great Britain. ALL-INCLUSIVE SERVICE – We provide our patients with the pick-up service after the surgery (clients are being taken to the airport or bus/train station upon their departure). All pre-op examinations can be performed at our offices. Comfortable clinic suits with medical staff around are available for comfortable stay of the patients. WE DELIVER ON OUR PROMISES – We place a high priority on communication and only operate if sure we can meet client’s expectations. From your first contact with our Clinic to the completion of your convalescence after the operation, the members of our Laderma Team will be there to help you. Our Laderma Clinic in Prague offers top quality services in the field of Cosmetic Surgery. Our surgeons have had extensive experience in not only the Czech Republic but also in Canada, the UK or Austria. NEW B-LITE BREAST IMPLANTS ON OFFER AT LADERMA CLINIC! B-Lite breast implants are the world’s first and the only LIGHTWEIGHT option for Augmentation or combined surgery with breast modelling (Mammaplasty). Their weight is up to 30% lower than other standard silicone-filled implants.